Gearheads love dynos, it’s as much a part of the automotive culture as actually lining up and racing but, with that many runs taking place, there are bound to be some mishaps. In this Top 5 video, we get a close-up glimpse at a few of those not-so-fun experiences. The first couple of clips are sobering reminders of the importance of double and even triple checking your tie downs. Tie straps are the only thing holding your precious ride in place while you’re running through the gears on the dyno, so you want plenty of them and you want them to be TIGHT! These end relatively well considering how badly things could have gone, but keep these clips in mind next time you pull onto the rollers and ratchet down those straps. The top three clips are a different kind of failure altogether! Number three and two look to be good examples of what happens when you push your car a little too hard trying to nudge that dyno graph as high as possible. In both clips the powerplants decide they’ve had enough just before the runs are over, leading to pretty spectacular engine failures. The number one clip, though, shows what happens when the dyno itself gives up the ghost at speed, sending sparks, parts and spectators all scattering. 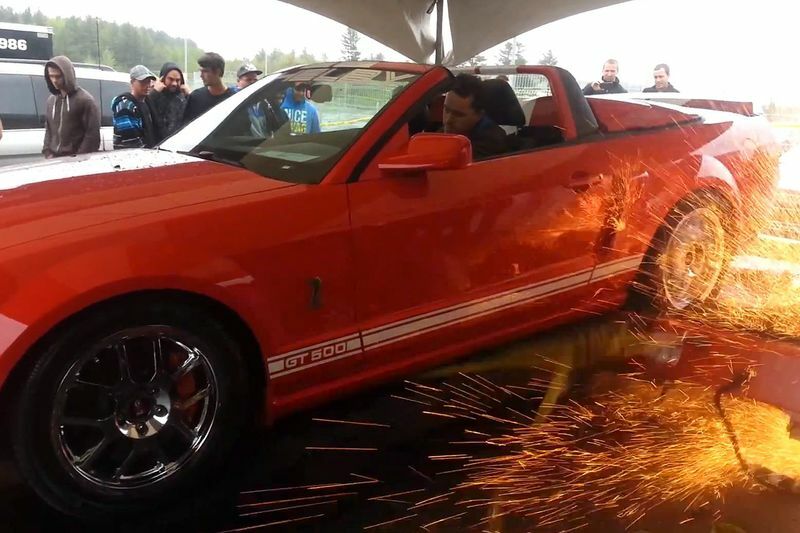 After watching this video, you may find yourself watching dyno pulls from a few steps farther away in the future! Video: This Is What Happens When You Throw An All-weekend Party At A Race Track. Video: Smoking It Up Aussie Style! How To Be Hated By Your Neighbours With 15,000 Watts! Two Truck Owners Try Prank Lady By Blocking Her Car, But Who's Laughing Now!